Actualité de l'écosystème en France & inspirations de l'étranger. 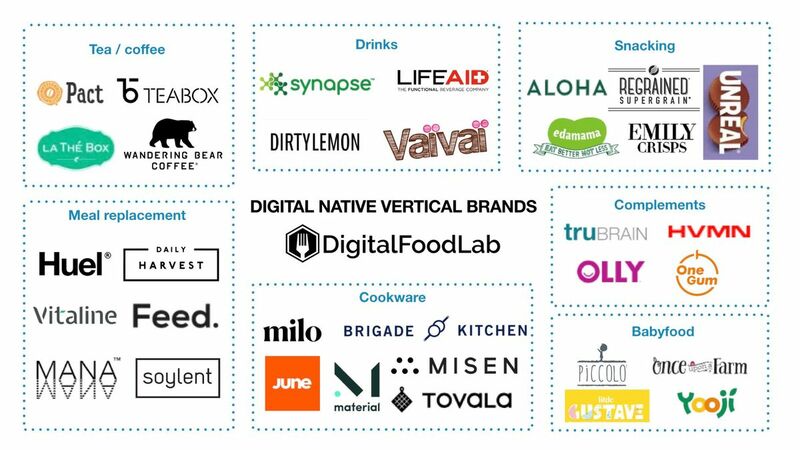 How vertical brands will change the food industry? targets mostly digital natives and millennials through online and mobile e-commerce (therefore a DNVB is a direct-to-consumer brand). More than a traditional brand that can add (successfully) a new channel of sales online, a DNVB experience is primarily thought to be online. goes from digital to brick and mortar stores when successful with innovative and consumer-centric experiences. 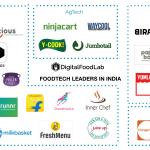 In the last years, food DNVBs have grown really fast in a few domains such assnacks, tea, coffee, meal replacements… Furthermore, DNVBs are still a huge opportunity in many areas (such as Europe) where such brands are not well developed. 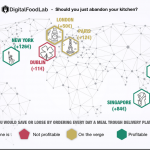 Bellow is mapping showcasing some of the best examples of FoodTech DNVBs. If these new brands are scarcely represented in the fresh aisles of the supermarkets, they are becoming strong everywhere else. RxBar: the healthy snacks brand, created in 2014, went from nowhere to more than $100m in sales in 2017 and a $600m exit to Kellogg that same year. Unreal: created by a 13-years old, this startup delivers to your door candy made “right” (which means healthier than traditional candy). Myco Technology raised $30 million from major food coporates (among which Tyson and Kellogg’s venture arms). 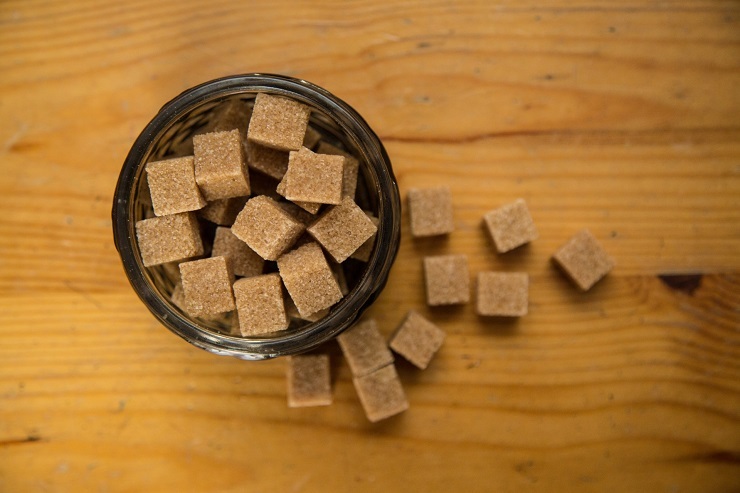 The Colorado startup develops mushroom-based products enabling an increase of proteins or a reduction in added sugars. Chowbotics enter the European market partnering with Bonduelle. 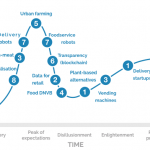 Like in the US, Chowbotics and Bonduelle will deliver their customers (corporates canteen and offices) with automated salad kiosks (made with Bonduelle’s ingredients). Munchery shuts down after raising $125m. Munchery, founded in 2010, announced in late January that it will shut down its operations. 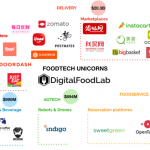 It was the leader in the full-stack delivery market (where a startup operates its own kitchens and delivers its meals to the customers). The startup had expanded into many cities in the US before shutting them down to refocus on the Bay Area. While it tried many business models, Munchery was not able to reach profitability even if it tried various business models. Les inscriptions pour cet évènement seront bientôt disponibles.